What are the key documents that will Help Writing Policies Procedures? There are many Documents that Help Writing Policies Procedures. Start with process maps, FMEA, control plans, compliance standards and business plans. The very first document you will need is a process map. Process maps act as the procedure outline documenting the critical steps within the process. They include activities, decision points, and relationships to people and processes. Each process works within a system, which is used to analyze the process in terms of efficiency, effectiveness, and compliance. 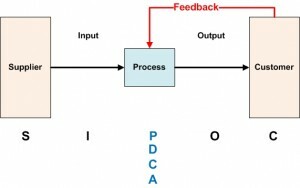 If you really want to write solid procedures that leave nothing out, then the next key document is your PFMEA or Process Failure Modes Effects Analysis. Process failure modes (risks) need to be defined with associated RPN number: Risk, Severity, and Occurrence. That means that everything that can go wrong within your process should be considered before you write your procedures. 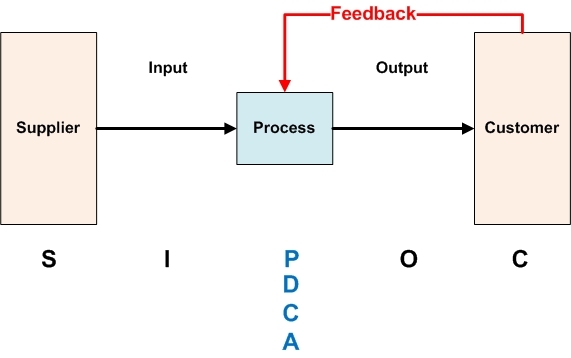 A PFMEA is used by a procedure/work instruction writer to understand and prevent failures. Preventing process errors is one of the main reasons you are writing a procedure in the first place. Processes are designed to achieve a result. A process control plan is designed to ensure you achieve that result. Once you have your PFMEA then you can produce a Process Control Plan, which defines sampling methods, check steps, prevention measures and actions to take when a failure occurs for each step in the process. A control plan is used by a procedure/work instruction writer to address and prevent failures. The procedure or work instruction you write is a control or countermeasure for the identified risk. If a failure occurred, then one cause could be the procedure was not followed correctly. New Release of “How to Write a Policies and Procedures Manual” is now available. in an e-book PDF Format. regulations or standards for conformance. Your procedure writer needs this as well as your auditors and trainers to ensure everyone is on the same page when it comes to compliance. Your procedures are written to explain how to deliver performance towards your business plan. Your procedures document your process, Key Performance Measures (KPI) from your business plan, and how your process interact within a system of processes. Key elements from your business plan include market requirements, expectations of management and shareholders for growth, earnings, costs, and maybe productivity. But if it is documented in your company’s business plan, then it is a required input document for your procedure writer. Even more than a business plan, your mission, vision or values are aligning policies for your whole company. Customers and employees see your mission, vision, and values on your website, on company banners, or everyone will carry them around on their company badges. If the company expresses safety, sustainability, or employee health as a core value then you need to make sure that you understand what that means to the process you are documenting. That is why mission, vision and values are a required input document for your procedure writer. 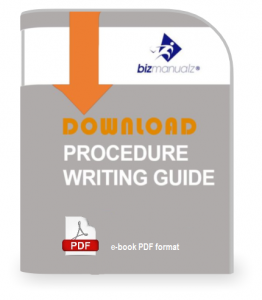 A procedure style guide is a writing guide for your procedure writers. If you have a number of different people writing procedures then one way to standardize the process is to create a style guide for procedures. Your style guide address fonts, spacing, margins, headers, footers, colors, branding, format, word usage, and other stylistic issues that writers need to know. It might even address how many space are needed after a period. It is up to you what styles you choose. At a minimum you would create a document control procedure if nothing else. What Documents Help in Writing Policies Procedures? Bizmanualz provides examples of policies and procedures for your most important company departments. Every manual purchase includes a policy manual, a manual preparation and procedure style guide, along with example policies, procedures, and forms. Try one of our free sample procedures to see how it can help you document your company processes.